We got a cool one for you fine folks. A G&L Legacy made in 1992...the first year of production for the Legacy model. It is three tone sunburst, Strat style with a rosewood fingerboard. It's clean, shows some wear. It has a nice, vintage patina to it. The frets are fine, everything works like it's supposed to. It has the original Duncan pickups G&L was using at the time and sound great. The neck has a '60s slim tapered feel. It is very fast and very comfortable. It's a fine guitar at a great price. Comes with original hard case. This SB-2 features a gorgeous Blue Metal Flake finish, with matching headstock! In the late 1970s, Clarence Leo Fender was looking forward to launching his new G&L brand featuring his latest innovations including Magnetic Field Design pickups and the Saddle Lock bridge. 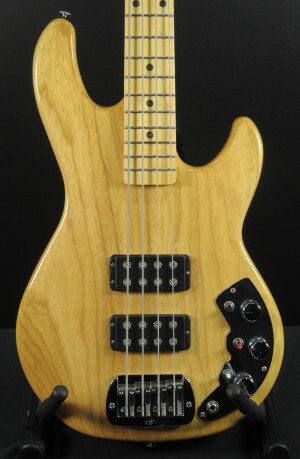 Leo developed these technologies at his CLF Research company, and production of the new G&L instruments took place in the CLF Research factory on Fender Avenue in Fullerton, California, where G&L production continues today. The new CLF Research L-2000 is a fully modern "2k" that pays homage to its roots with classic details including the early CLF/G&L headstock and neck profile, beautifully reproduced CLF knobs and '81 control plate, and color-coded mini toggle switch tips. Upgraded with Vintage Satin Tint Neck, and 3-Ply Tortoise Shell pickguard. Inspired by the classic surf sound born in Southern California, the new G&L Doheny takes its name from the iconic beach in the heart of Orange County where 60's surf pioneers became legends. Since those halcyon days, both music and surfing have evolved far beyond their roots, and so has the performance of the gear. Doheny takes the bolt-on offset-body into new sonic territory with newly developed Magnetic Field Design jazz pickups, the first on any production G&L. Naturally, these new pickups will invite comparison to Leo’s jumbo MFD ASAT Special pickups, given they employ a narrow bobbin aperture and broad coil splay. But Doheny's MFD pickups are more about jangle than twang, just as they should be for a guitar like this. With a classic jazz bobbin aperture wrapped with traditional Formvar wire, these pickups just might be the approach Leo would have taken had he been with us a few years longer. So what’s it like? The sound is rich in harmonics yet surprisingly full, the result of carefully researching and applying Leo's creative work across the decades. The Doheny pickups deliver the experience fans have hoped for, with their flexibility maximized by the PTB tone system that allows echoes of yesteryear while delivering more output and range for today’s music. Add in Leo's finest vibrato for enhanced tuning stability and improved sustain, and the results are astounding. Upgraded with light-weight Okoume body. In the late 1970s, Clarence Leo Fender† was looking forward to launching his new G&L brand featuring his latest innovations including Magnetic Field Design pickups and the Saddle Lock bridge. 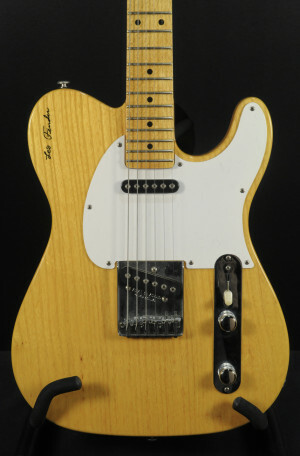 Leo developed these technologies at his CLF Research company, and production of the new G&L instruments took place in the CLF Research factory on Fender Avenue in Fullerton, California, where G&L production continues today.